The Business Plan Program & Competition is back again this year! Business Plan Workshops: Learn about the key elements of a business plan. Workshop will be offered from April to September. For more information and to Register click here. PITCH Panels: Interested businesses can apply to “pitch” their business idea to a panel of coaches, before entering the formal competition. If eligible, this PITCH Panel opportunity means business owners can try out their idea, get feedback from coaches and improve their overall plan before entering the Competition. PITCH Panels will be offered In May, June, July and September 2019. To be considered for a PITCH Panel fill out the PITCH PANEL APPLICATION and follow the instruction. Both of the above optional opportunities will better prepare applicants for the Competition. Please keep checking our website for additional dates added for both Business Plan Workshops and PITCH Panels. We look forward to collectively awarding three promising businesses $15,000* to help implement their business plan. However, the Program’s educational components and support will assist ALL businesses that participate. That is the goal of the Enterprise Center – to help businesses start and grow on the North Shore to create jobs in our region. *The Business Plan Competition Awards: $10,000 for the 1st place, $3,000 for 2nd place and $2,000 for 3rd place. Participants that meet the Eligibility Requirements must submit a 5-part Application that is reviewed by an expert judging panel and evaluated according to established Judging Criteria. All Business Plan submissions are due on Wednesday, October 16, 2019 by 5 PM. No exceptions will be allowed. Six semi-finalists are selected to present their plan in person to the judges. Three finalists will go on to present their plan publicly at the Friday, December 6, 2019 Grand Finale at which the judges determine the first, second and third place winners. All participants receive written comments on their submission; the semi-finalists and finalists have the option of working with a presentation coach to fine-tune their plan for the judges. Wednesday, October 16, 2019 by 5 PM: All Business Plan Submissions are due. No exceptions. Friday, November 1, 2019: Semi-finalists announced. November 6-8 and November 18 -20, 2019: Semi-finalists and Finalists will receive guidance and feedback on how to best present their Business Plan. Friday, November 15, 2019: Finalists announced. 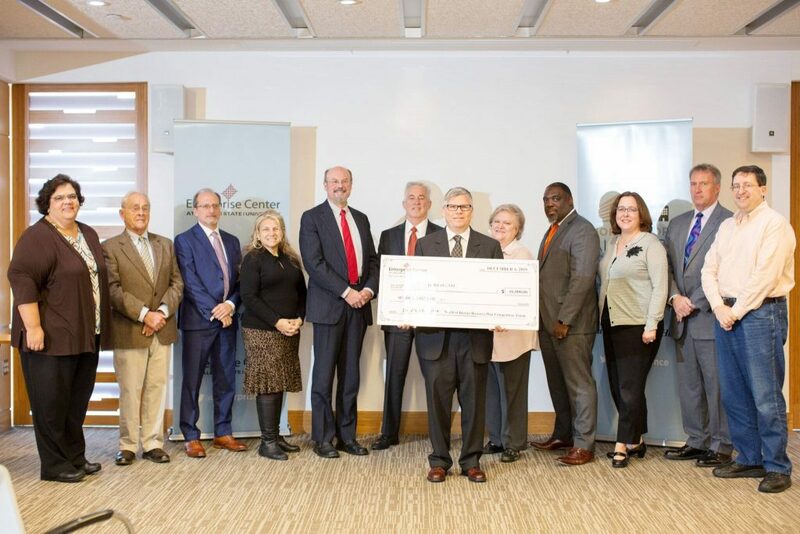 Friday, December 6, 2019 / 1:00 PM – 4:30 PM: Business Plan Competition Finale. Competition Finalists will present their Business Plans and compete for prize money before a panel of judges in a public forum. Detailed descriptions of the Business Plan Competition elements are shown below. Applicants may use their own cover page with company logo, tag line, etc. Please use a font size between 10 and 12 point. The Enterprise Center recommends that you use one of the following font styles: Times New Roman, Arial, Helvetica, or Garamond. Margins should be no less than .75 inches, not including header and footer. Please number all pages, including the first page. Please include your business concept name as a header or footer on all the pages. Applicants must submit their entry in a PDF format. The 2019 Business Plan Application will be available soon. Please check back to our website. 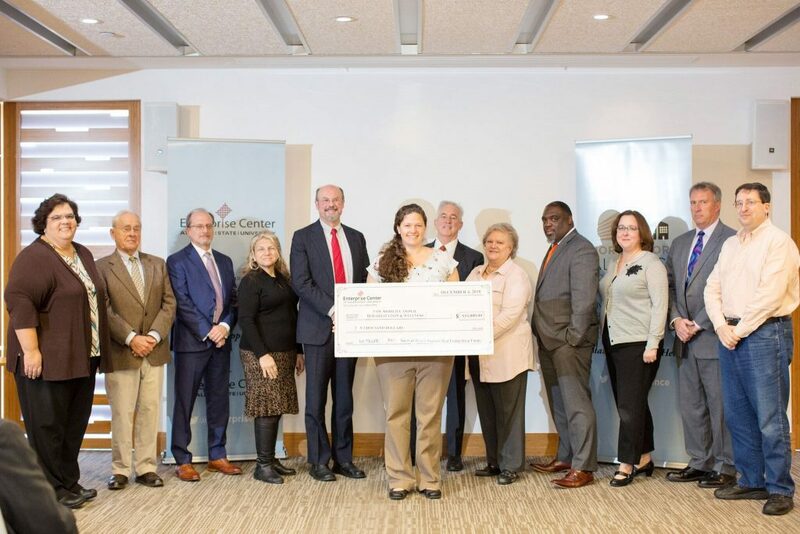 On December 4, 2018, the Enterprise Center at Salem State University announced the winners of the 2018 North of Boston Business Plan Competition. Paw Mobility Rehabilitation & Wellness of Beverly, MA won the grand prize of $10,000. VeriGuide, LLC of Salem, MA came in second winning $6000 and The Artful Life Counseling Center & Studio, LLC took home the third prize of $4000. The Enterprise Center is a business growth center for entrepreneurs at every stage of business development. It has been a journey for each of these three businesses and their owners. They entered the Competition on October 16, 2018 along with other businesses. They were selected as semi-finalists on November 1, 2018 and then competed to be finalists. Today they made their winning presentations to an audience of judges, bankers, investors, and business people. Paw Mobility Animal Rehabilitation & Wellness improves quality of life and function in pets, getting them back to doing what they love to do. They work with pets in the North Shore who are injured, just had surgery, are older, are overweight, and those who need conditioning. A unique service they will be offering is the use of an underwater treadmill, which can expedite improvements. The second place prize of $6,000 was awarded to VeriGuide, LLC of Salem, MA. The company developed a safety based mobile app that connects students on overnight school trips to their Chaperone and Group Leaders via their cell phones. The app uses Geo-Location, messaging and voice communication so the chaperones can locate missing/lost students thus allowing for a better, safer and more secure travel experience. 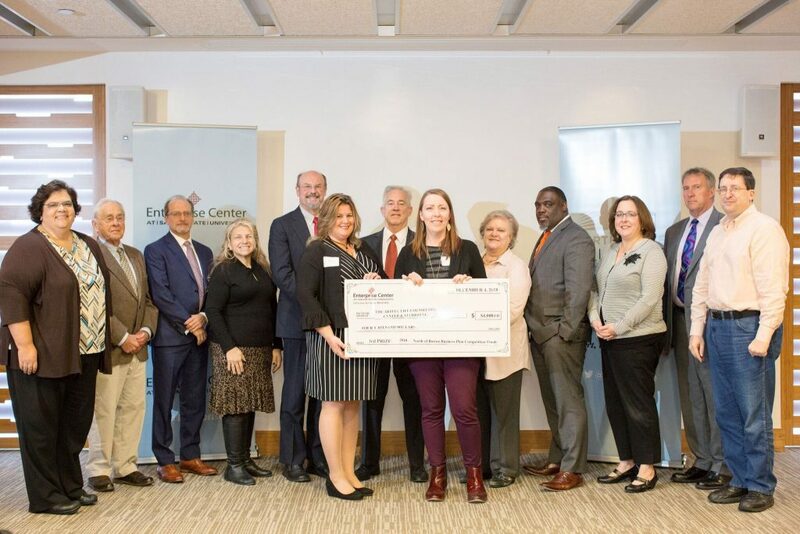 The third place prize of $4,000 was awarded to The Artful Life Counseling Center & Studio, LLC of Beverly, MA which offers an alternative to traditional mental health counseling for individuals of all ages in the surrounding communities of the North Shore. Their team of trained and licensed expressive arts therapists use creative and interactive counseling techniques, grounded in the latest psychotherapy research, to help children, adolescents and adults create a more positive, healthier and fulfilling life. The purpose of the Competition is to identify and support businesses who want to grow and expand on the North Shore and thereby build the region’s economy. A special thank you to the sponsors of the 2018 North of Boston Business Plan Competition: Beverly Bank, First Ipswich Bank, Salem Five Charitable Foundation, the Hall Company, and North Shore Alliance for Economic Development.